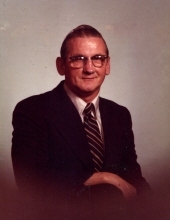 Mr. David Earl Daniel, 84, of Dunn died Monday, October 15, 2018. David was born June 13, 1934 in Sampson County son of the late Fountain and Zilphia Lee Daniel. He was also preceded in death by his wife, Edna Estine Bryant Daniel; brothers, Bill, Donnie, Curtis, George, Jesse and James Daniel; sisters, Willadean Lee, Evelyn Haire and Christine Wood. David was retired from the body shop at Sir Walter Chevrolet in Raleigh and a member of Full Gospel Revival Center and Mission in Dunn. A funeral service will be held 11 a.m. Saturday, October 20, 2018 at Skinner & Smith Funeral Home Chapel with Rev. Lee Faircloth and Rev. Charles Sorrell officiating. Burial will follow at Devotional Gardens. David is survived by his foster daughters, Teresa Wood Parker of Benson and Pam Wood Helms of Hampstead; foster sons, Glenn Wood of California and Terry Wood of Erwin; brother, Fountain Durwood Daniel of Henderson. The family will receive friends 6-8 p.m. Friday at the funeral home and at other times at the home. Memorials may be made to Full Gospel Revival Center and Mission P.O. Box 908 Dunn, N.C. 28335. To send flowers or a remembrance gift to the family of David Earl Daniel, please visit our Tribute Store. "Email Address" would like to share the life celebration of David Earl Daniel. Click on the "link" to go to share a favorite memory or leave a condolence message for the family.